What's New in Lucis 2.1 Bamboo? Powerful like No Other and we added a powerbank! The all new Lucis Bamboo is equipped with 25 strong RBG full Color LEDS that have a maximum output of 450 Lumen (40watt). Packed with an enormous battery capacity (10,000 mAh) Lucis Bamboo will give you up to 100 Hours of full color continuous lighting! Lucis™ Bamboo is made from the highest grade selected Bamboo. Made from the extremely rapidly renewable giant bamboo species “Moso”, renowned for its CO2 absorbing and O2 producing capacity and always sourced from sustainably managed forests and plantations. The Moso bamboo plant consists of multiple stems. As a result, several stems may be harvested each year without killing the mother plant. Lucis Bamboo™ comes with a detachable handle that you can use to carry Lucis around easily. > moreover, like all Lucis lamps, Lucis Bamboo is equipped with a standard 1/4" tripod connector, so it can be attached to all of our unique accessories. View all Lucis accessories in our product page. Lucis is equipped with 4 touch sensors for changing color, brightness and dimming. All Lucis lights have 3 light programs you can start by touching multiple sensors at once. You can turn your lamp ON/OFF with the button on the bottom of the bamboo lamp. Portable like no other, one charge will give you up to 100 hours of continuous lighting. And charge your phone multiple times! 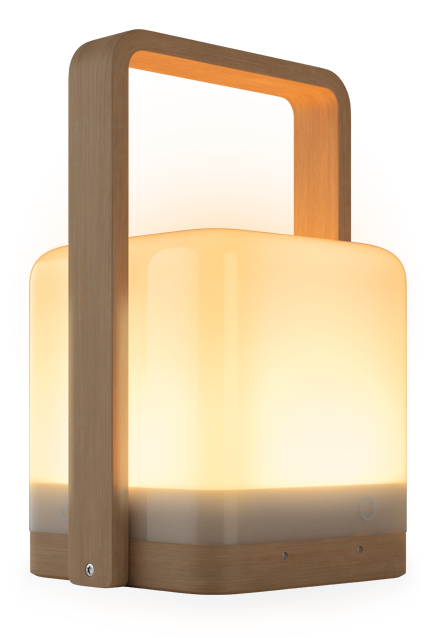 No other Wireless mood lamp on the market is so powerful & versatile as Lucis. What’s different from the other lamps? We do not remote controls or apps with the Lucis range. We wanted to keep it simple and created the true social lamps with powerbank function. With its large battery full color option and bright & dim sensors, Lucis has better specs than all other wireless lamps on the market. From the Philips Hue Go to a Fatboy Edison. Lucis has more features, a stronger battery, more Lumen output and an easy to use interface. This Lucis™ is made from the Greenest Bamboo! Bamboo is one of the fastest growing plants in the world. Its Products offer clear sustainability advantages and are proven CO2 neutral over the full life cycle. The all new Lucis Bamboo is equipped with 25 strong RBG full Color LEDS that have a maximum output of 450 Lumen (40watt). 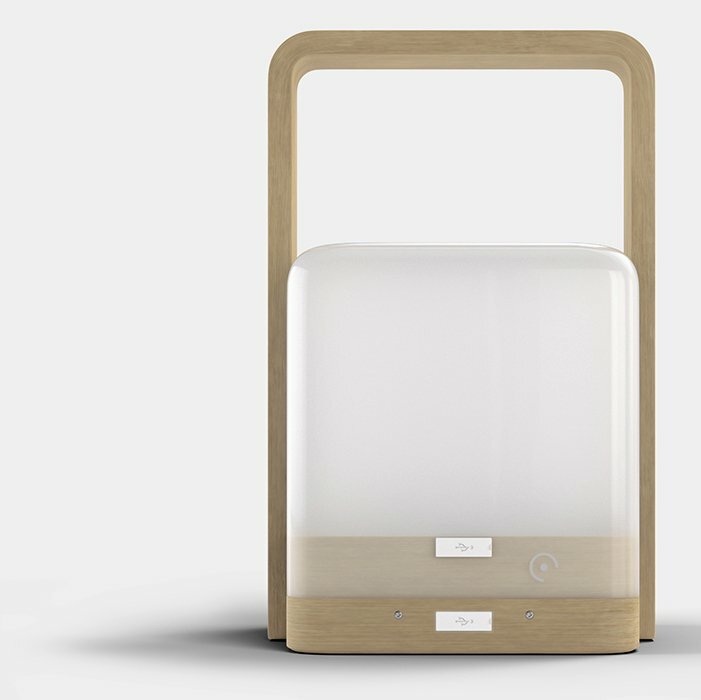 Packed with a enormous battery capacity of 10,000 mAh this lamp will give you up to a 100 Hours of full color continuous lighting with just one 6,5 Hours charge. Lucis isn't afraid of water and likes adventures. You can take your lamp to the garden the beach and is perfect for hot summer evenings in the park or your next trip to just about anywhere. The portable light is easy to clean and maintain. Use the magnetic "play" coin to preserve battery power and the travel pouch to prevent scratching. Charge your Lucis with the fast micro usb charger in 6,5 hours or any other micro usb charger. No buttons, No apps. Just touch Lucis to change Color & Brightness. Choose one of the 16million colors to set the mood anywhere. Lucis is the perfect companion to go with you on any adventure in & outdoors. Use the travel Pouch to prevent your Lucis from damages and charge your electronics anywhere at any time! 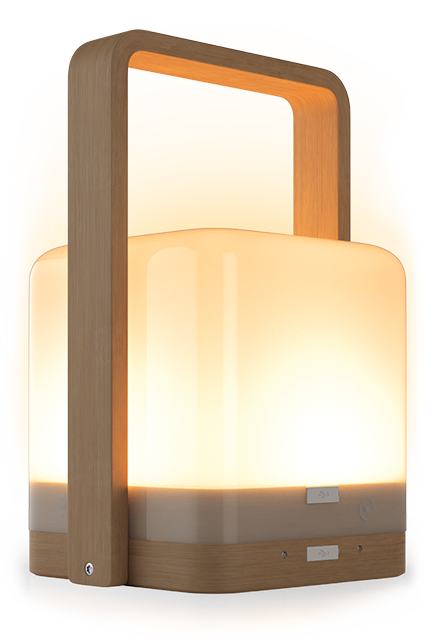 The new lucis 2.1 Bamboo has an easy ON/OFF switch in the bottom of the lamp. Lucis is also equipped with 4 touch sensors for changing color, brightness and dimming. All Lucis lights have 3 light programs you can start by touching multiple sensors at once. Lucis Bamboo Wireless lamp is made from the best Grade Bamboo and built to the highest standards. With a high quality polished plexiglass upper housing and solid bamboo handle this Lucis is easy to carry around. No Buttons, No App. 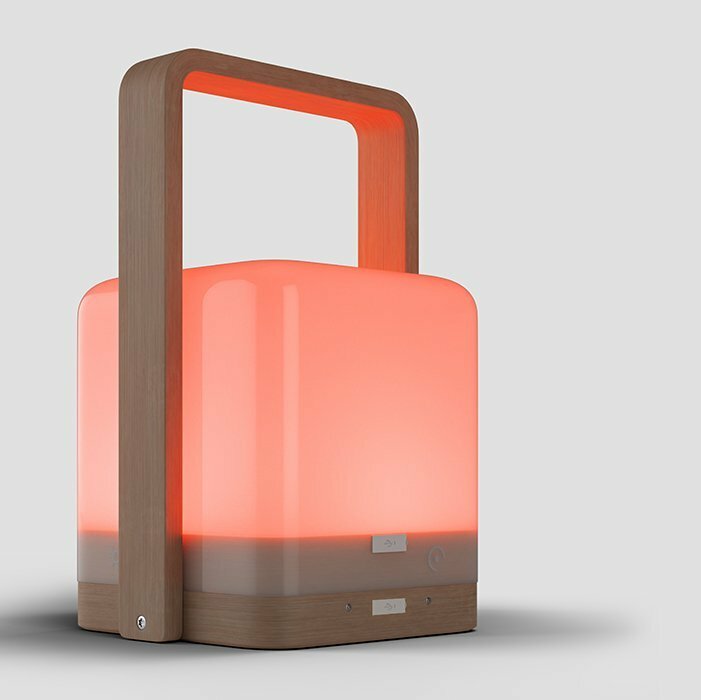 Lucis is equipped with 4 special sensors that makes Lucis the true social mood lamp. Push the button on the bottom to turn your lamp ON/OFF. use the color and brighten/dim sensors to set the mood in & outdoors. With one charge you will have up to a 100Hours of continuous lighting and lots of power to charge electronics. Lucis Wireless Lighting is designed, developed and produced by Innovative Brands b.v, Amsterdam, the Netherlands. We started our mission to make wireless lighting better and more intuitive in the end of 2015 with our successful crowd funding campaign on indiegogo. From the first to the second batch we are now producing our third production with accessories and lamps. Lucis is growing its world wide network of retailers and never stops developing and integrating the best technology and highest standards into its products. Now we are back with the Green all new and improved Lucis Bamboo 2.1 Mood light & Powerbank. The most powerful wireless mood light in the World! This new Lamp has double the amount of Lumen 450 (40watt) a huge battery with 10,000 mAh and is completely made from the greenest Bamboo.